Enter via the link above or email contact@edinburghsketcher.com with the subject line ‘WhereArtI 7th May 2018’. 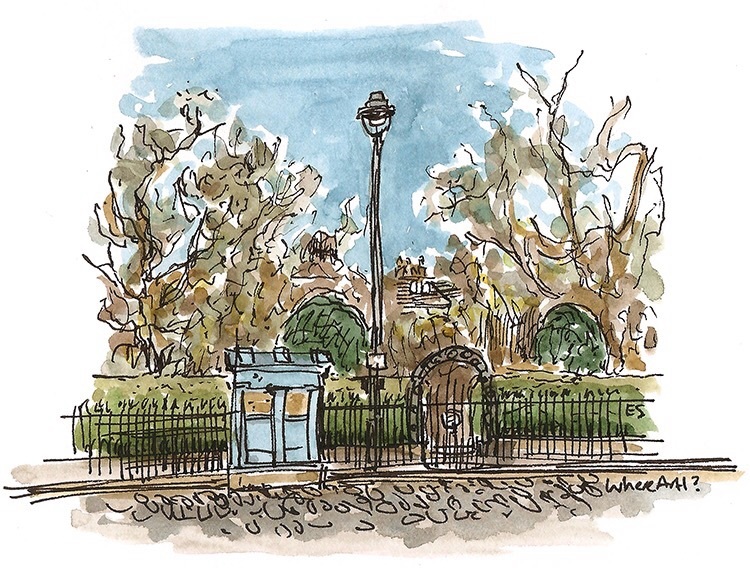 WhereArtI 7th May answer: Drummond Place and Gardens, from Great King Street in Edinburgh’s New Town. Alison Bruce was randomly picked to go into this months draw for an Edinburgh Mug.